Here's a quick walkthrough guide and tips for the Android and iOS mobile game Hungry Shark World. It will cover all different Shark scenarios, notable missions, and locations of sea creatures in the game. Your main goal is to quickly unlock the largest and deadliest of the sharks in the game, and feed him up to become a ten ton killing machine! - Your aim is to to survive for as long as you can, while getting high Score Points and Gold. - Try to avoid anything that will harm your Health bar, especially jelly fish, including rubbish, unless you can eat them! - Familiarize yourself with the controls, explore and enjoy! - Use short boosts to chase those creatures faster than you, or to swim away from nastier creatures. - To increase Attack Damage of your bites and avoid escapees. - To shake off other Sharks biting your own Shark. - Grab golden creatures or humans. - Grab floating objects like "green jars", or "cash" to get some Gold and Points. - Activate Gold Rush to turn all creatures to Golden. - Obtain Daily Chests, rewards increases as you get more. - Complete Missions for even more Gold rewards! - Survive for as long as you can to increase your Total Gold Survival Bonus. - From early to mid game, just get what you can find. - Earn them to purchase premium items or upgrades later. - If you encounter a purple Gem Fish, grab them to get a Gem. You can also get more Gems by defeating submarines and other man-made structures as your Shark grow bigger. - Daily Chests also contains Gems if you are lucky. - Info: Can eat smaller and less dangerous prey. - Do not buy any upgrades or items for now, earn your first few Gold to buy the Pacific Islands Map first from the SHOP. 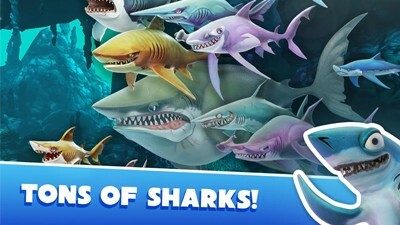 - Just get Daily Chests that you encounter for now, focus more on your missions to quickly unlock bigger sharks. - Earn at least 3,000 Gold for the next Shark. - Most missions can be completed near the surface, or around rocks. Just play, explore, learn the game and enjoy. - White Tip Fish is the cheapest among the three (3,000 Gold). - Info: The S Sharks boast a 3x Points Multiplier during Gold Rush. - Level up your Shark to make it bigger and increase it's Health (not the upgrades, just play to increase it's Lvl). - Do not buy any upgrades or items for now, earn at least 10,000 Gold to buy the next shark. - Most missions can be completed near the surface, around rocks. Continue and explore further or deeper from the drop point. - Sand Shark is the cheapest among the three (10,000 Gold). - Info: The M Sharks boast a 4x Points Multiplier during Gold Rush. - Level up your Shark to make it bigger and increase it's Health (not the upgrades, just play to increase it's Lvl). Note that new Sharks are somewhat weaker, so take some time to level them up to at least Lvl 10. - Pets are your baby shark companions that can also help chomp small fishes around you. Buy Dave from the SHOP to help you get Points. 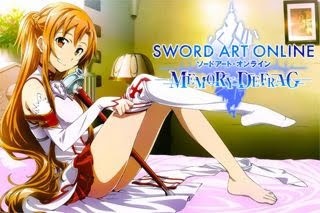 - You may buy accessories that are less than 1,000 Gold. - Choose any that you might like, preferably with -% Health Drain, +% Health or +% Food Bonus. - Next, earn at least 30,000 Gold to buy the next shark ("not the cheapest one this time"). - Just activate Gold Rush multiple times to earn Gold, Mega Rush too if available. Refer to the "Earn Score of 40,000/50,000" section below for more info on how to do it. - You can also hunt for Daily Chests to get even more Gold, only explore where you can reach though. - Unlocked Location: Pacific Islands ONLY. Do NOT unlock other locations or else you'll get difficult Missions like hunting XL Sharks! - Note: Missions are given at random, so I will only post some of the notable missions here. If you can't find what you are looking for, try to find them (or similar missions) on the other sections of this walkthrough, or ask right away via the comments section. - Refer to the "Earn Score of 40,000/50,000" section below. - One good option is to hunt Blob Fish, they give a nice boost to your Gold Rush bar and Points as well. - First, go down below the sunken ship to locate those Blob Fish. Eat some Tuna, Mahi-mahis, and other fish around while going down. Use those Blob Fish to fill up your Gold Rush bar, but do not activate yet. If you need more, go deeper directly below the sunken ship (right of the X obstacle) to find more Blob Fish. - Go inside the sunken ship then activate Gold Rush, move from the top-left to top-right, then down. Use your map to easily navigate around the ship. Grab those Blob Fish, Gem Fish, and all creatures you can grab. - You should be able to get at least 25k to 35k Points here, but if your Mega Rush also activates after the Gold Rush, you can get around 90,000 Points just by clearing the top area of the sunken ship! - If the above method ain't enough, swim and move to the Volcano area, eat and trigger Gold Rush there, move around those red areas to grab more Blob Fish. Best if you can also trigger Mega Rush after the Gold Rush. - Use your map to easily navigate around the Volcano. - You can encounter nasty creatures here around those Blob Fish, so it's better to fill up your Gold Rush bar to almost full, before entering the sunken ship. - use your map easily navigate inside it. Eat 20 Crabs = It only shows a Red crab, but you can actually eat all kinds of crab. Eat 5 Birds in 30s = Can be done from the drop point. Eat 7 Flying Fish = Refer to the example locations below. - Refer to the example locations below. - More Mahi-mahis can be found directly above the left image below. - You can actually find more, but the 2 locations below are enough to complete the missions. Eat 6 Parrots = Refer to the example locations below. - The right most area is easier to reach, I believe. For both locations, dive into the water then jump back on the land to grab those parrots, repeat if needed. Eat 6 Sharks = Go above the sunken ship (top left near the X) and around the sunken ship (lower right) to find more sharks. You can also find some sharks inside the Galleon (sunken ship). - Yup, the sunken Aircraft Carrier is at the right side area of the map. Eat 35 Squids = Refer to the example location below. - You can find several locations but they are so damn hard to catch, this place however is a good hunting ground. Eat 6 Sting Rays = Refer to the example locations below. - You can find them around wide open areas. - Example: Above or at the lower right area of the sunken ship. - If you are wondering what is a shoal, it's a large number of fish swimming together. So, just let your Shark eat them all up to get a shoal bonus. Pets can really help you clear this one faster. - Play it safe, move between surfaces and only eat humans or any big creatures if you need to restore Health. Level up your Shark to increase Health bar, and get some accessories with -% Health Drain, +% Health or +% Food Bonus. - Optional: If you failed the task, but you were so close to your goal, you can also use 1 Gem to continue and lock it in. - Survive by playing safe, keep moving between surfaces and use Boosts whenever possible. - This is also possible to achieve by triggering multiple Gold Rush. While Gold Rush is active, you have infinite Boost, use that to move faster. - Optional: If you failed the task, but you were so close to your goal, you can also use 1 Gem to continue and lock it in. To check your progress, pause the game just after your shark's death. - Goblin Shark has the highest Health among the three L sharks (30,000 Gold). - Info: The L Sharks boast a 5x Points Multiplier during Gold Rush. - You may buy any accessories you might like with Gold. - Preferably with -% Health Drain, +% Health or +% Food Bonus. - Next, earn at least 60,000 Gold to 75,000 Gold to buy the next shark. - Just activate Gold Rush multiple times to earn Gold, Mega Rush too if available. - Use your Basic Map to locate them. - Refer to the "Earn Score of 40,000/50,000" section above. - Also check "Earn Score of 70,000/80,000" section below. - Refer to the "Earn Score of 40,000/50,000" section above for tips on how to activate Gold Rush. - Best if you can also trigger Mega Rush. - Refer to "Earn a Score of 40,000/50,000" section above (M Shark section), use the same method. - You can also access some areas where you can get more Blob Fish and other useful food source. Get them to help fill-up your Gold Rush bar, move to a nice hunting area full of fish then activate. - The left image location contains Blob Fish, Submarine, and some Divers. Grab them all to fill-up your Gold Rush bar. Both images are located at the right side area of the map. - Another option is to collect those H-U-N-G-R-Y Letters, use your Basic Map to locate them. Once activated, your Shark will grow big, giving you infinite Health and Boost, use it to eat all you can! Even better if you can trigger Gold Rush and Mega Rush during HUNGRY Mode! - You can easily get over 100k Points doing this, make sure that you also include humans above the ground. - Go inside the sunken ship to grab some of them, then exit through the bottom part of the ship, go deeper towards the left side of the map to find more Angler Fish. Eat 8 Barracudas = Refer to the example location below. Eat 2 Giant Turtles = Refer to the example location below. - Located at the left side of the sunken Aircraft Carrier, jump on the flat ledge to get them. - Located at the bottom right area from the drop point, top left area of those 2 (X) obstacles. Eat 8 Pelicans = Drop point area, if not enough, move to the next surface on the left. - Break the obstacle (X) located on the left side area of the sunken ship, go down deep to find lots of Puffer Fish. Note that you can't eat them while bloated, wait and use your boost while they are at their original form. - You can also try to activate Gold Rush before grabbing them. You can find some Blob Fish at the bottom area of the sunken ship to help boost your Gold Rush bar. - Located at the left side area of the sunken Aircraft Carrier. - They are located between the Fish Boat and the sunken Aircraft Carrier. Jump into the open or on the flat ledge to get them all. - You can find XS, S, and M sized Sharks just below and around the drop point (left and right), near the surface. - Go above the sunken ship (top left near the X) and around the sunken ship (lower right) to find more sharks. You can also find some sharks inside the Galleon (sunken ship). - Appears near the surface after 3 to 4 minutes, follow the line below and use boost to break the cage. Note that you need to move away first from their re-spawn point before they appear. - Example Locations: Right below the drop point area. 2 or 1 can be found at the left and/or right side of the sunken Aircraft Carrier near the surface. - I usually start from the right, either of the 2 there, then swim back to the drop point, it's easier. - From the start, quickly find 4 of them at the lower right area of the sunken ship, also check below those green jellyfish for the others. Check your mission, if it only recorded 3 or less, better re-start. If this happens a lot, try to lure them near the sunken ship before eating them. - Next, keep your shark alive and wait until around 4 to 5 minutes. After that, go to the upper left area of the sunken ship near the (X) obstacle to get 2 Smooth Hammerhead Sharks. - Wait for 6 to 7 minutes, then go back to the lower right area of the sunken ship to get another 2 or 4. Note that these were the first few sharks you grabbed, you just need to wait for them to re-spawn. - You can find them below the garbage Dump area, left side of the sunken Aircraft Carrier. - You can also find more around the sunken Aircraft Carrier. Eat 10 Turtles = Just hunt them right below the surface. - Get them from the Volcano (red areas at the left side of the map). - Since you already have a Pet by now, just go and hunt normally. - This time, more dangerous creatures will start to appear so be careful. Level up your L Shark to survive longer (not the upgrades). - Another option is to collect those H-U-N-G-R-Y Letters, use your Basic Map to collect them. Once activated, your Shark will grow big, giving you infinite Health and Boost, use it to move faster. - You can also go and ride the under water current located at the bottom right area from the drop point, above those 2 (X) obstacles. After the ride, go up and swim back from the start of that tide. - Level up your L Shark to survive longer (not the upgrades).